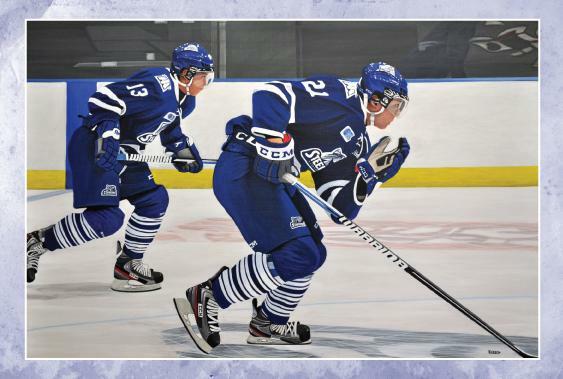 Canadian Artist Ken Kirsch recreates the Toronto Maple Leafs on a breakout. This life-like recreation of one of Toronto’s favorite sports team is classic. This Christmas holiday greeting card is perfect for die-hard Maple Leaf fans, family and friends.